For novice users the user-friendly menu allows automatic slewing to 42900+ objects. Even an inexperienced astronomer can master its variety of features in a few observing sessions. The SynScan Hand Control also has the ability to connect to a computer via an RS-232 cable. 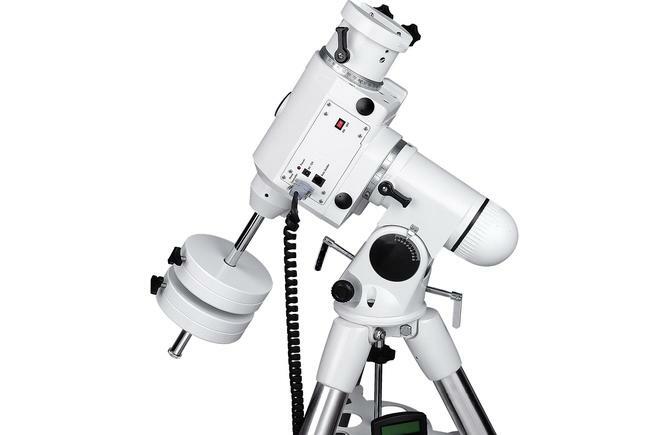 Once the connection has been established between the computer and SynScan Hand Control, many commercially available planetarium software programs can be used to control the EQ6 PRO Mounts, They also come with features that advanced astronomers can appreciate. Object database containing complete Messier, NGC, and IC catalogs.